Kyle’s background as a college and professional basketball player led him to start Basketball HQ. Check out my interview with him to learn more about his athletic journey and his company, which continues to benefit players, coaches, and parents of young players — from all over the map! I started playing basketball when I was 11 or 12, and I remember never wanting to leave the gym. I played in high school but didn’t receive any athletic scholarships. I played at a smaller private school and never attended any camps or played AAU, so my exposure was limited. My dream was to always play Division 1 basketball, so I decided to try and walk on at Liberty University. Basketball HQ offers expert training videos that can be accessed all over the world. Anywhere that you have access to the internet, you can watch college and professional coaches break down every aspect of the game. We aren’t just one trainer teaching a few different drills, but we have over 60 different college and pro coaches that contribute to our content. Different athletes are motivated in different ways, so there is a lot of individual motivation techniques that you can use based on whether an athlete is a self-starter, needs someone to get on them, etc. One thing I have found to really transfer from athlete to athlete, though, is that the better you explain something or why it is important, the more likely the athlete will apply what they are learning. For a while now, we have been looking for a great way to provide an all-encompassing experience for players. The customization features of the White Label Exercise.com platform have allowed us to do that, creating the perfect marriage between our expert content and all of the really cool features that help separate us from the rest of the competition. Who’s your basketball role model or mentor? How has this person impacted you? What’s on the horizon for Basketball HQ? You can find Kyle on Facebook and Instagram. He also writes online; check out his list article here. Lauren Smith is passionate about nutrition and holistic health (how the body, mind, and emotions intersect). She lives in Baltimore City, where she writes stuff, plays music, embarks on long power walks through the park, takes contemporary dance lessons, and enjoys healthy, flavorful cuisine. Lauren has written for a literary journal called Skelter and for Honestbodyfitness.com. 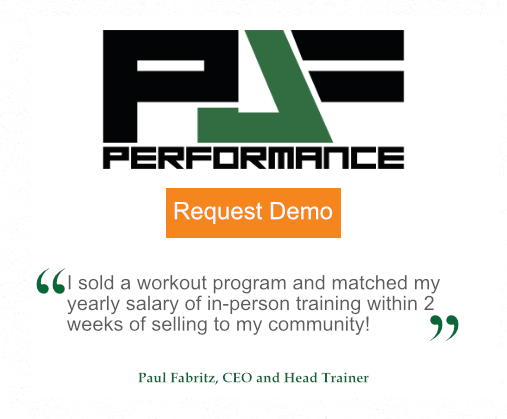 Where can personal trainers work?